MAY 8--The latest hero of the alt-right, a California man who has beaten and maced anti-Trump protesters on the streets of Berkeley, is a thrice-convicted felon who has served three separate prison terms, jumped bail, twice violated parole, used cocaine, LSD, and meth, and was described by his own lawyer as having “severe psychological problems,” court records show. Kyle Chapman, a 41-year-old rough boy committed to destroying the “neo-Marxist scourge,” was arrested March 4 following a melee at a rally organized by Trump supporters. While marchers purportedly were there in support of free speech, Chapman--who has spent a combined 10 years behind bars--came dressed for a fight. Chapman, a Bay Area resident, was one of ten combatants busted, but he alone emerged from the “March on Berkeley” as a fully formed right wing meme. Chapman wore a baseball helmet, shin guards, ski goggles, and a gas mask. He carried pepper spray and swung a large wooden closet rod. 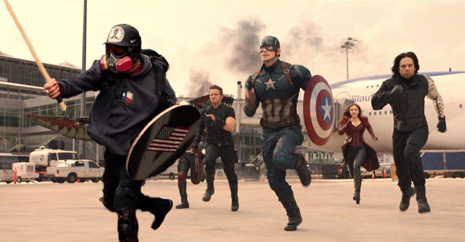 Chapman also toted a protective shield, a la Captain America. Following his arrest, Chapman fans raised money for his bail and a legal defense fund has reportedly amassed more than $87,000 (the money, contributors are told, will cover legal fees “as well as financial assistance” for Chapman’s family “if need be”). 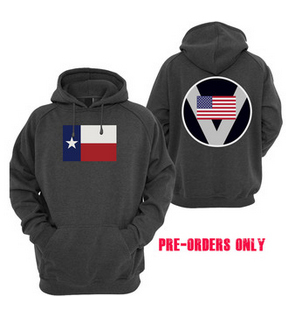 The fundraising effort has gotten a push from Mike Cernovich, an alt-right leader who saluted Chapman as a “political prisoner.” Chapman has also solicited direct contributions via PayPal and GoFundMe and recently launched a web site that sells “Based Stickman” merchandise. On April 15, during another Berkeley protest, Chapman, carrying an American flag, was filmed sucker punching a man. He was also recorded atop another man executing a ground and pound attack that left his victim bloody and dazed. As Chapman was landing blows, white supremacist Nathan Damigo was nearby punching a woman in the face and another man--wearing a yellow “Jesus Will Judge You!” hoodie--was stomping on a prone opponent. 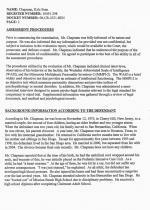 Now as for that law-abiding claim, Chapman’s rap sheet begs to disagree. 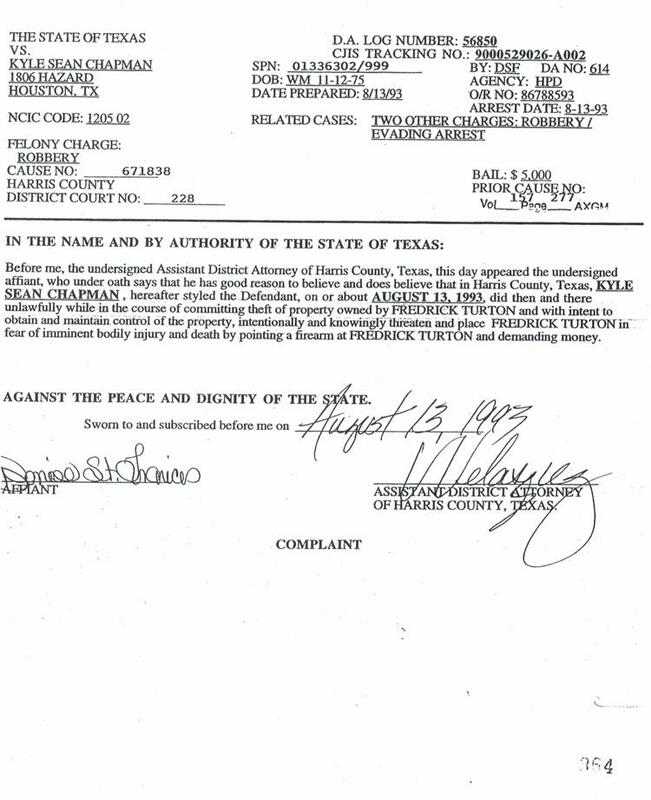 Chapman’s first felony conviction came days before his 18th birthday in November 1993. 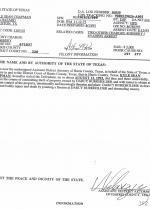 Chapman and an accomplice pleaded guilty to a pair of felony robbery charges, according to Texas court records. 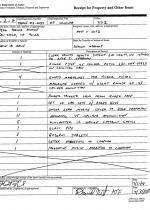 During a 2009 prison evaluation, Chapman told a psychologist that he had been “booted out” of high school “due to disciplinary problems.” Chapman said he joined the Navy in 1993, but never served due to the robbery arrest. He also told the prison doctor that, as a juvenile, he abused alcohol and used LSD and marijuana. But his "substance of choice," Chapman added, was Scotchgard fabric spray, which he huffed. Sentenced to five years in prison, Chapman served a combined 30 months in custody before being paroled in 1996. 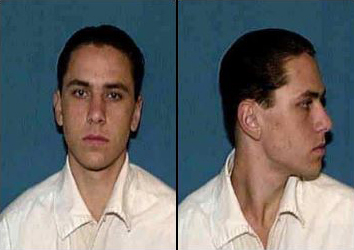 During his incarceration, Chapman said, he was repeatedly assaulted by fellow inmates. 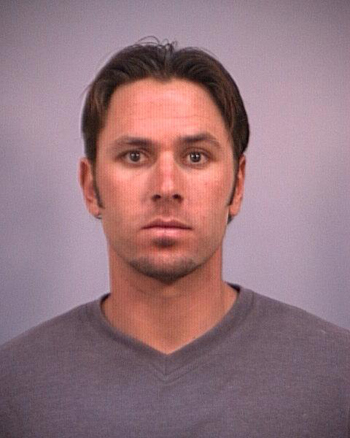 Chapman eventually moved to California, where he worked as a bouncer at various San Diego-area strip clubs. 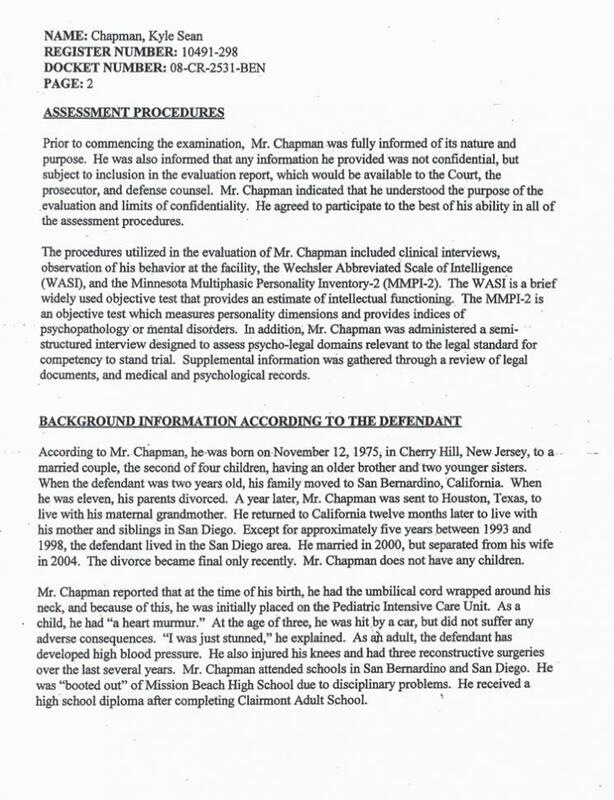 During his 2009 psych exam, Chapman said that he stopped drinking while on parole in Texas, but resumed imbibing in California. 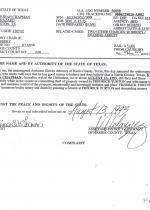 Chapman’s next felony conviction came in June 2001, when he pleaded guilty to grand theft. 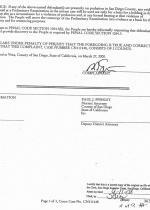 According to Superior Court records, he stole in excess of $400 worth of merchandise from a Macy’s in San Diego. 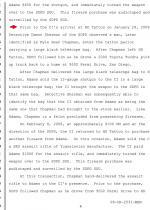 Chapman was sentenced to four years in prison--three years on the grand theft rap and a one-year “enhancement” due to his prior conviction for robbery. Chapman served a total of two-and-a-half years in custody, according to California court and corrections records. 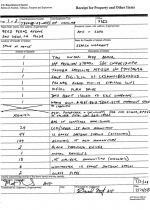 He was twice sent back to prison for violating terms of his parole, resulting in an additional five months behind bars. 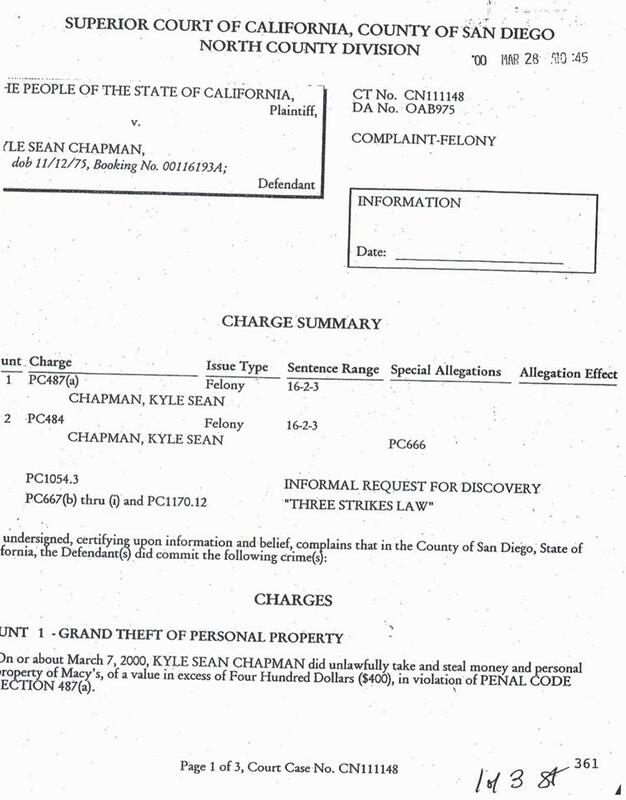 Chapman’s most recent felony conviction came as a result of an undercover operation launched by Bureau of Alcohol, Tobacco, Firearms and Explosives agents and the San Diego Police Department’s street gang unit. 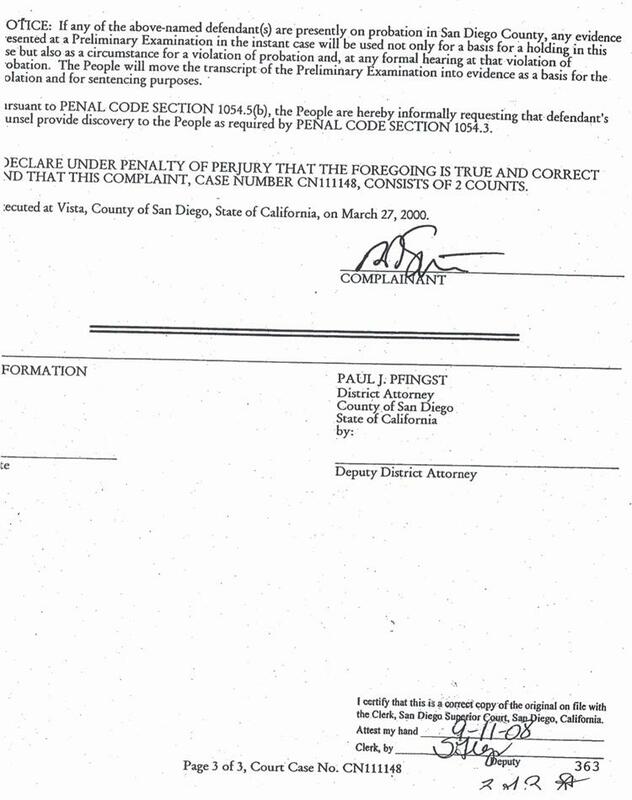 With the help of a confidential informant, investigators determined that an owner of a San Diego tattoo shop was illegally selling guns from the business. Agents suspected that some of the weapons ended up in the hands of local Hispanic street gang members. 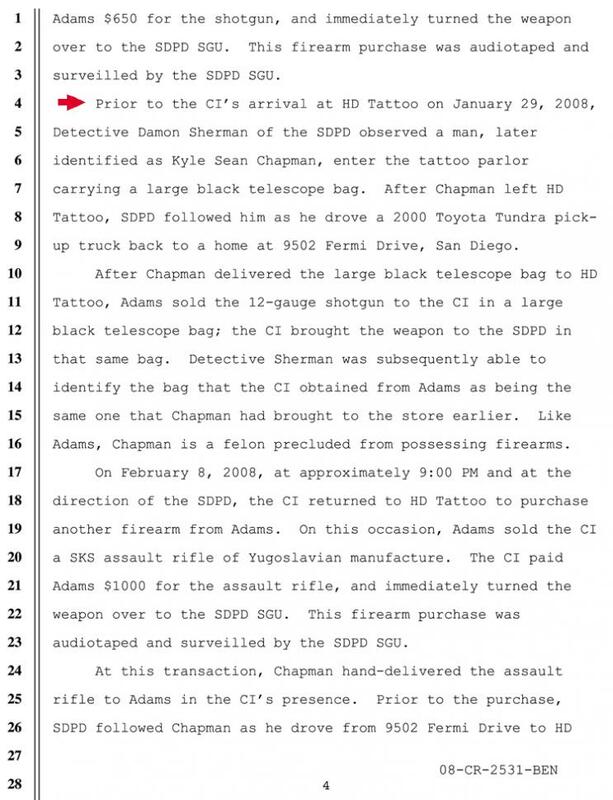 On two occasions, Chapman provided the tattoo shop owner with weapons--a shotgun and an assault rifle--that were then immediately resold to the informant. 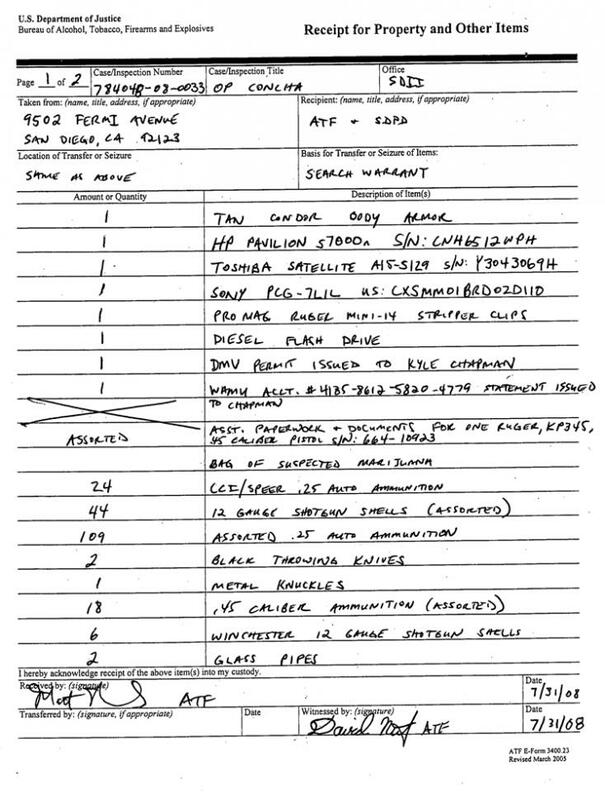 One evening, as Chapman drove from his home to the tattoo shop to deliver the assault rifle, a San Diego Police Department surveillance helicopter followed Chapman's Lexus on the six-mile trip. 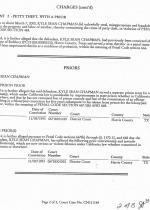 Chapman was named in a July 2008 indictment charging him with two counts of being a felon in possession of a firearm. 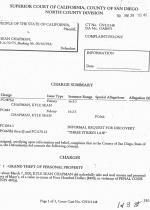 Chapman was arrested at his San Diego home, which was simultaneously searched by cops and ATF agents. 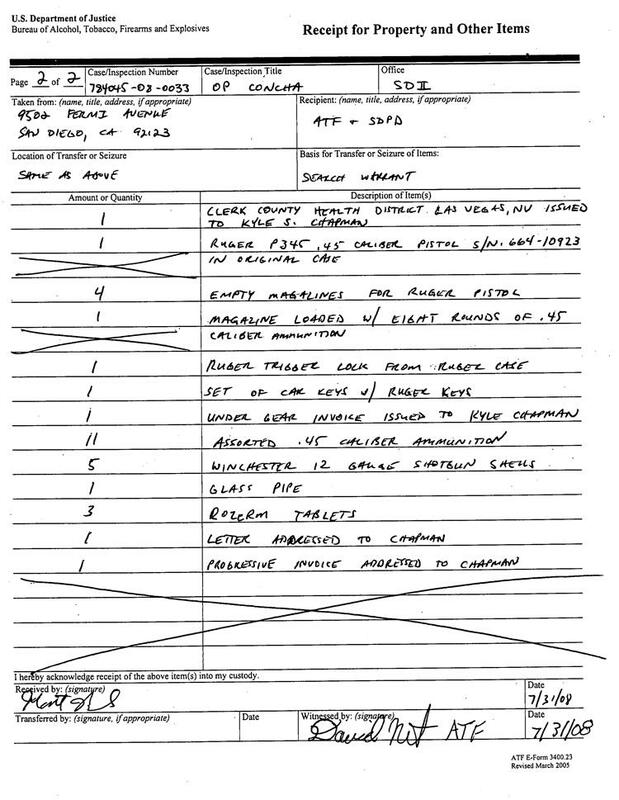 According to a search warrant inventory, investigators seized body armor, a Ruger pistol, two throwing knives, a bag of "suspected marijuana," metal knuckles, two glass pipes, assorted ammo and shotgun shells, clips, and magazines. 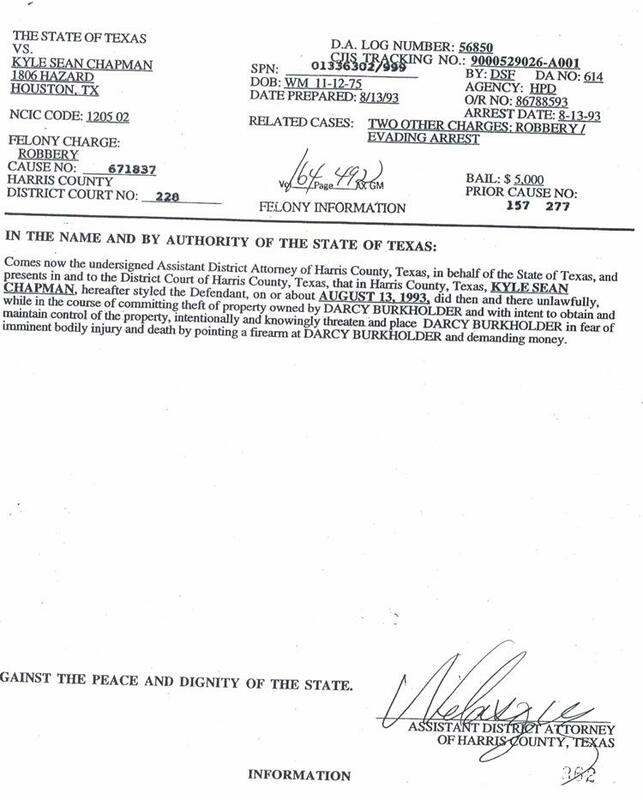 In a plea agreement, Chapman copped to the felony charge related to his possession of the assault weapon. After five years behind bars, Chapman was released from Bureau of Prisons custody in January 2014, at which time his probation sentence began. The terms of his supervised release included periodic drug testing and substance abuse treatment. He was also barred from consuming alcohol, attending gun shows, and possessing body armor, firearms, and ammunition. 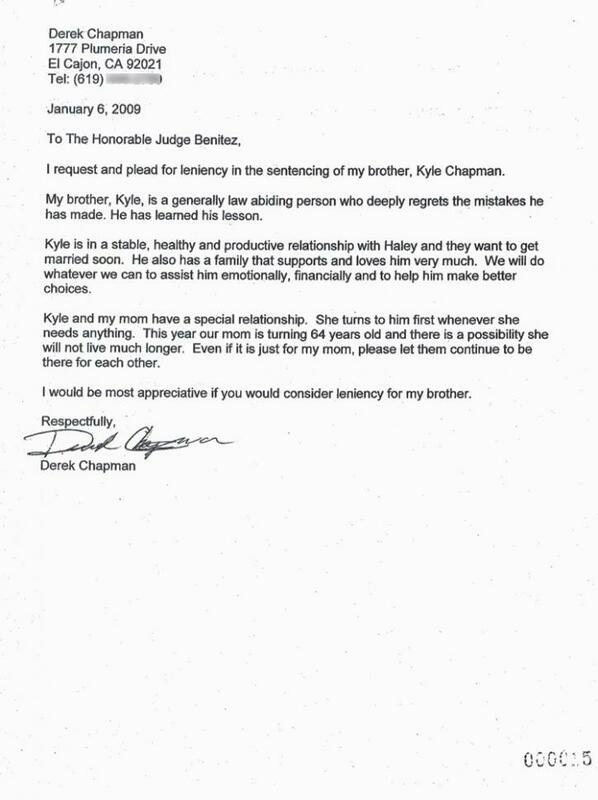 Chapman was also directed to participate in a mental health treatment program as directed by his probation officer. 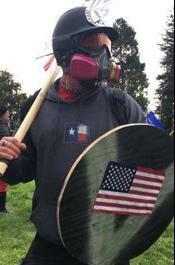 Chapman’s federal supervision ended less than two months before the shield-carrying “Alt-Knight” made his March debut on the Berkeley streets. 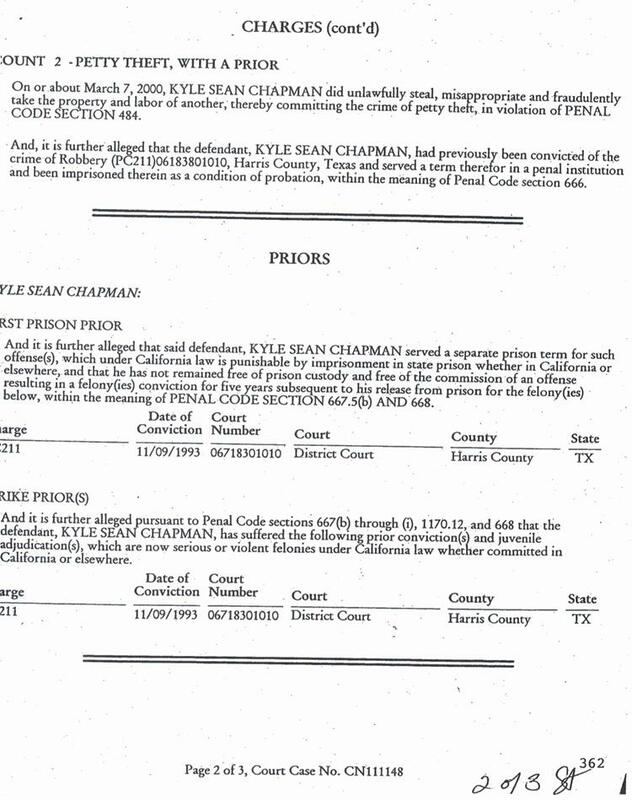 Court records contain no indication that Chapman’s federal probation was violated at any time. Chapman was arrested on multiple felony counts for his alleged activities during the March 4 protest (which he proudly calls the “Battle of Berkeley”). Prosecutors with the Alameda County District Attorney's office are still reviewing police reports and videos in advance of making a final charging decision when it comes to Chapman and his fellow arrestees.